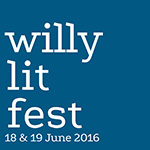 I’m so looking forward to presenting my two workshops at this year’s Willy Lit Fest! Although, my workshops have sold out, you may like these other writing events. Now in its thirteenth year the Willy Lit Fest, aimed at both readers and writers, is the biggest literary festival in the West. This year’s theme is ‘Stay Curious’. The weekend explores ideas on happiness, lifelong learning, discovering our suburbs, ourselves, our industrial past, as well as writing on politics, footy, positive ageing, science, innovation and fascinating works from new novelists. The program is jam packed with over 80 authors in 50 sessions including lively panel discussions, in-depth interviews, inspiring author talks, creative workshops and readings. Festival guests include Andy Griffiths, Leigh Hobbs, Sofie Laguna, George Megalogenis, Steve Bracks, Rosalie Ham, Stuart Coupe, Alice Pung, Leah Kaminsky, Arnold Zable, Renata Singer, Dmetri Kakmi, Claire Saxby, Olga Lorenzo and Frank Bongiorno, Sally Rippin, Morris Gleitzman, David Astle, Styg Wemyss, Jeff Maynard, Lucia Nardo, Enza Gandolfo and Vin Maskell.